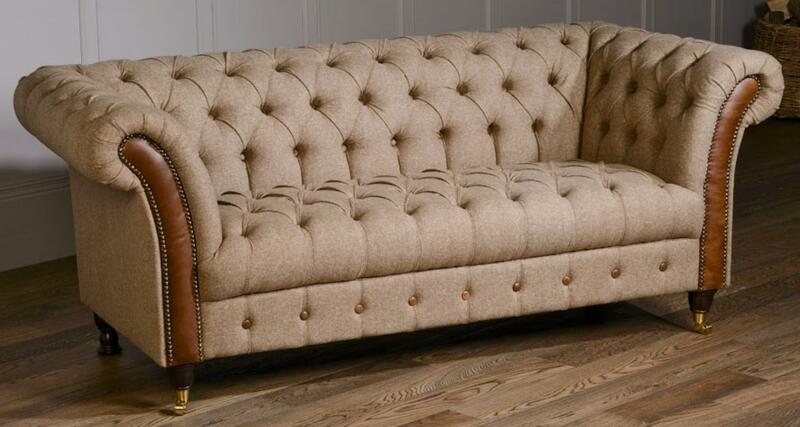 Based on the classic British Chesterfield sofa! Buttoned back, arms and seat cushions and elegant proportions combined with vintage leather and castor wheels to finish this beautiful collection. Available in vintage leather, heritage fabric, crushed velvet or combinations with around 50 different cover choices to choose from in the shop.